The Lunar New Year is a time to honour tradition. And one way to do so is with this savoury carrot cake recipe, which will bring back many fond childhood memories. 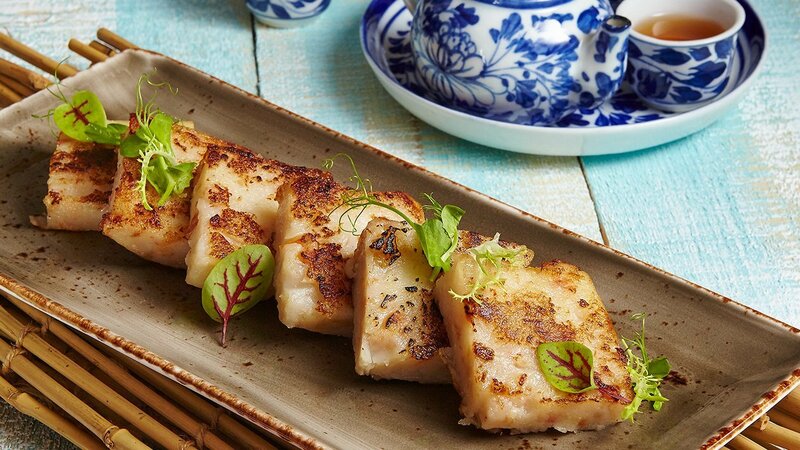 Pan fried to golden perfection, this dish is a must-have on any Chinese menu. Add 250g of water to rice flour, corn flour, wheat flour, Knorr Chicken Seasoning Powder, sesame oil and sugar. Whisk well till flour mixture is smooth. Stir fry dried shrimps and Chinese sausages till fragrant, stir into flour mixture. Boil shredded white radish in 400g of water and fold into flour mixture. Pour mixture into mould and steam for 50mins. Set aside and let it cool. After the carrot cake is completely cooled, let it set overnight in the fridge. Cut carrot cake into 4 squares. Heat up oil in a frying pan and pan fry carrot cake till both sides are golden brown, plate and serve.